The Picket House Furnishings Murphy Dining Table is the perfect addition to your bedroom! 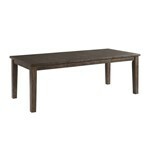 This dining table can fit in any space thanks to its not one, but two drop in, 18" leaves. This means you'll be able to transform your table in an instant to accommodate any last minute guests. 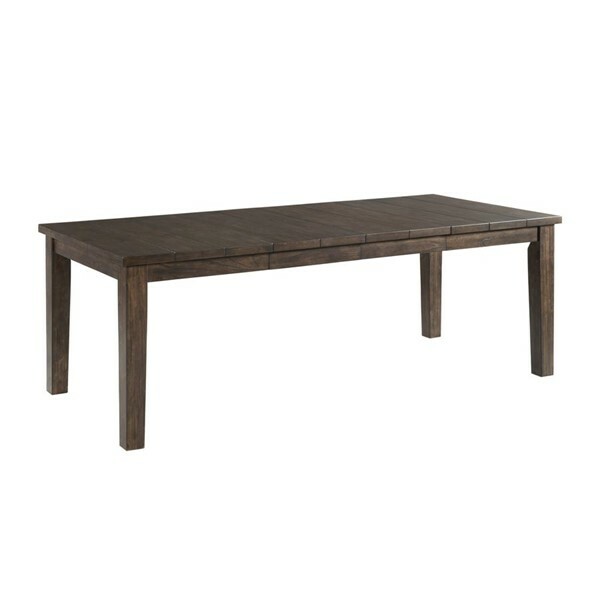 The table top features a plank design, making this table a classic that'll never go out of style. The rich, walnut finish makes it easy to pair with any existing decor. The tapered legs on the table complete the look of this transitional style.